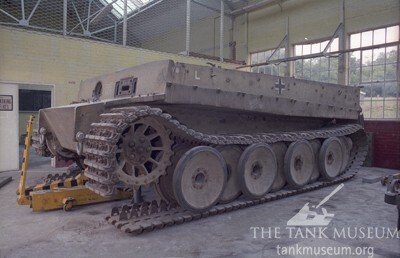 The project began on the 7th June 1990 when Tiger 131 was removed from the Museum. 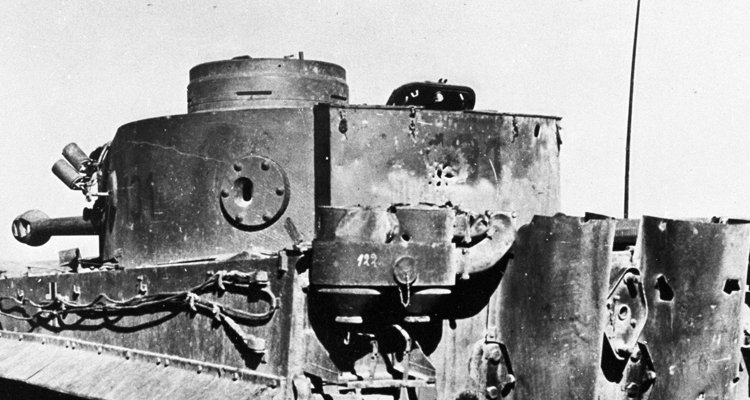 The first step was to remove the turret. This was put back on display as work began on the hull. 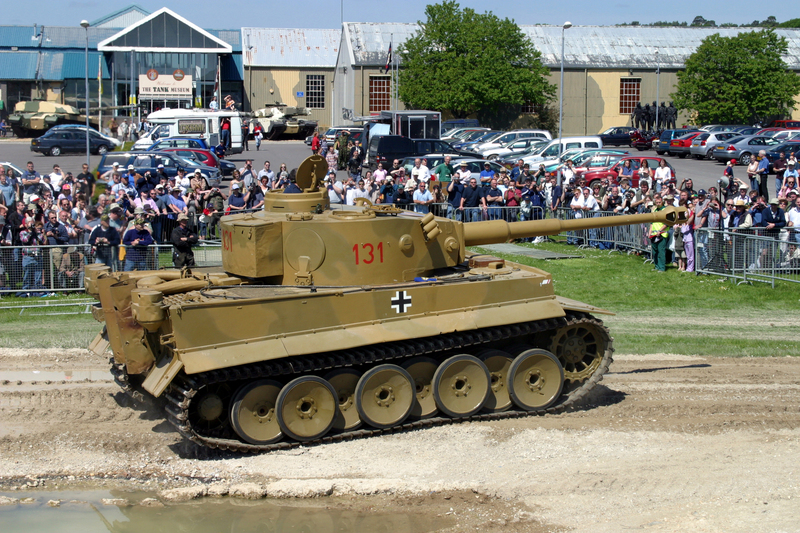 We already knew that the tank had no engine, but what of the gearbox? It was still inside but what sort of shape was it in? 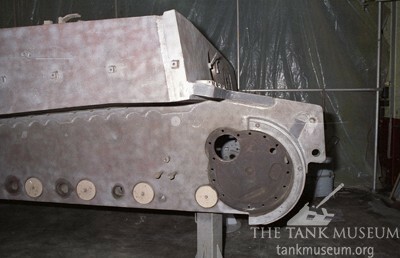 The gearbox is located in the front of the tank. To access it seats and other small fittings had to be removed. 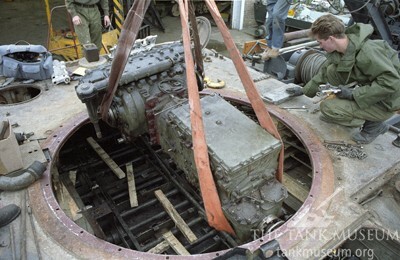 The gearbox was then lifted out through the turret ring. First, of course, it had to be disconnected from the drive shaft and then slid carefully backwards on lengths of timber to where the crane could reach it. A difficult task and some insight into the problems that faced Tiger maintenance crews in the field. The next stage was a thorough investigation of the suspension. Stage one here shows the tracks already broken and preparations being made to raise the hull so they can be drawn off. Now the difficult task of taking off the road wheels. Each one will have to be examined in detail to discover its condition. Some of the mud on the inner road wheels must have been there for years. Notice the change in colour where the tinwork has been removed from the side of the hull. 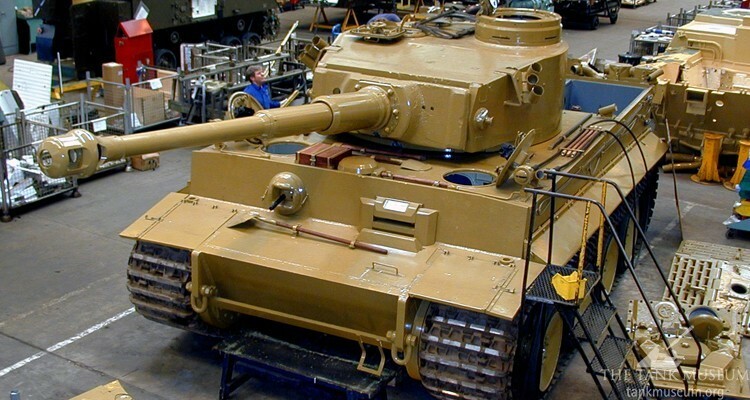 This proves what we had already guessed, that the tank had been repainted more than once. In mid-October 1991 the task of stripping down the suspension commenced. 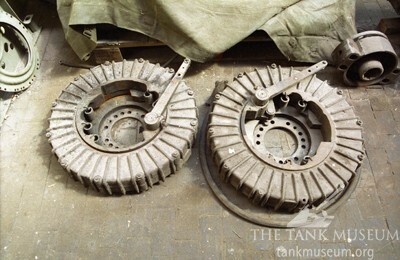 Once all the road wheels had been removed and identified, the torsion bars were withdrawn and stowed on a purpose-built rack for cleaning and examination. Fortunately the rust on the wheels was superficial. 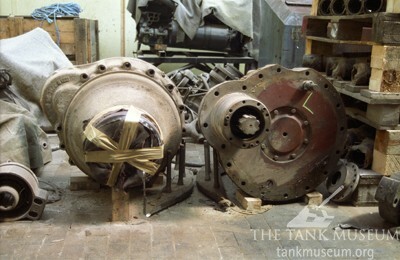 Late in 1991, as work continued to strip the Tiger’s hull, the final drive housings were removed and stored for examination. The outer ends were sealed to prevent dirt from getting in. We also have a rare chance to see the inner face, a feature which is normally hidden from view. A rare chance to see the inner face of the drive housing, a feature which is normally hidden from view. 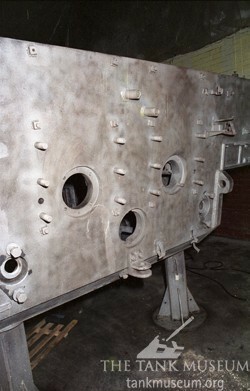 From inside the hull, and on the same alignment as the final drive, the steering brake drums have also been removed. Notice that they are ribbed to dissipate heat and also how the actuating lever is mounted. A series of heavy duty coil springs can also be seen around the internal rim. 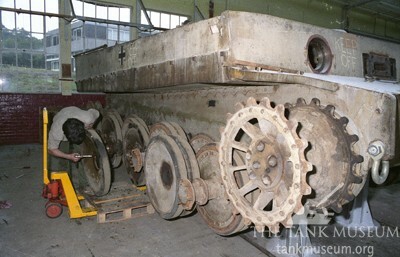 The steering brake drums are removed from the hull. 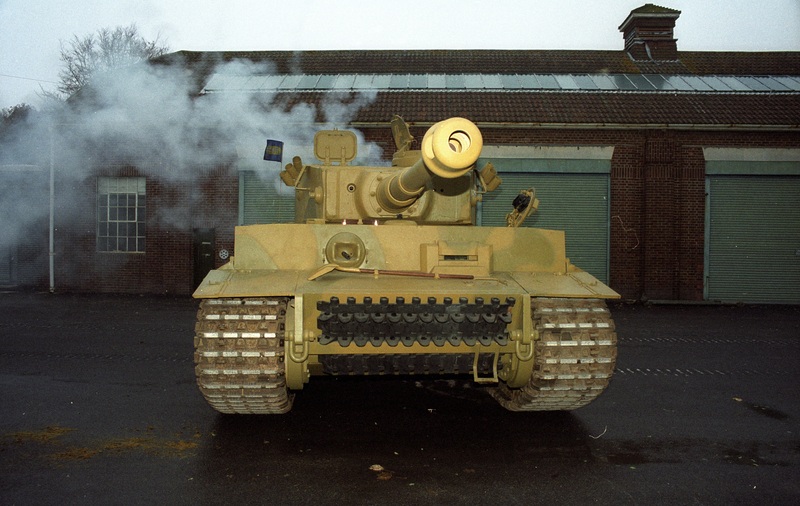 By December 1991 the Tiger’s hull had been stripped to the barest of essentials; this was the time to check for corrosion and damage, especially around joints and weld points. 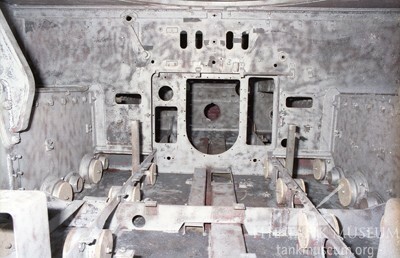 This view shows the front of the hull from the right, showing where the final drive housing has been removed. In this view we are looking back along the hull into the engine compartment. 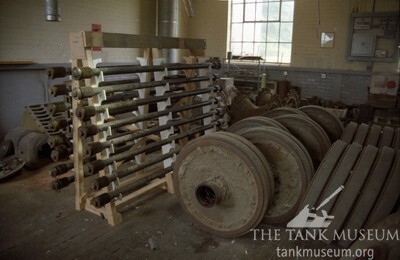 There are whole areas here that will be completely hidden when the tank is reassembled. Note, for example, the ventilation duct running along the centre and the wooden plugs, inserted to protect the torsion bar bearing surfaces. Finally a rear view with every fitting removed. The heavy bolts secure the exhaust and the central hole takes the starting handle. The next post will look at some of the early rebuilding work on the hull. 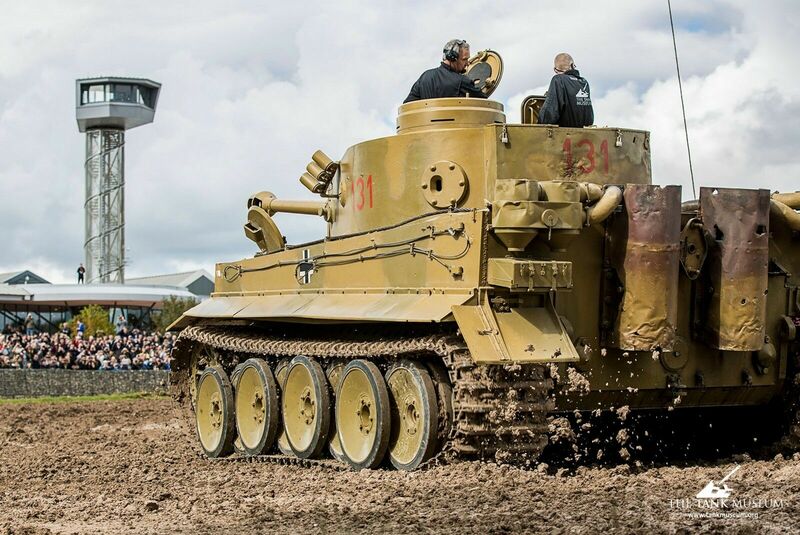 Find out more about the Tiger I from Curator David Willey in the Tiger I Tank Chat. 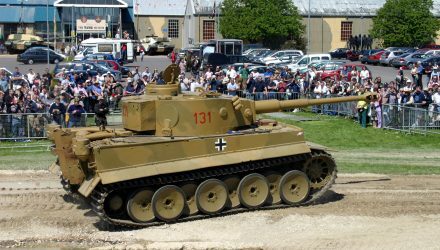 Read more about German and Allied Second World War tanks, as well as the history of tanks from their conception onwards, in the books below. How do I subscribe to this Tiger Blog? great to see the inside of this grand ol lady.